While WWE may have failed to purchase and obtain most of the video library from TNA/Impact Wrestling — mostly to adding new media content to WWE Network library for its subscribers — the company has managed to obtain the complete library of the Ohio-bases Heartland Wrestling Association. Along with the current acquisitions o the WCW, NWA, ECW, WCCW, and Mid-South (among others), the WWE Network is continuing to beef up its streaming content. The complete library for Heartland Wrestling Association stretches out from 2001 and 2002, with 48 episodes of weekly programming (with potentially even more programming). 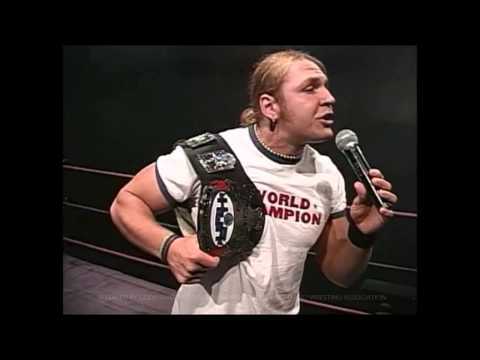 Between those years, the HWA acted as a developmental territory for WWE, and included talent like John Cena, Shannon Moore, the Haas Brothers, Mark Jindrak, and D’Lo Brown (among others), as well as Nigel McGuinness, Raven, 3 Count and Shark Boy. If you want a small taste of the product, there’s a YouTube playlist you can check out full of low-quality video (which is fine in its own right), so we can only hope that the WWE Network might present them i higher-quality. Here’s hoping that WWE will attempt to make another play for TNA’s library, then they’d have an even incentive to acquire more content to create an even-larger over-the-top distribution and streaming platform. While they’re at it, might as well try to scoop up those old World of Sport episodes, too.